Progas Heating Services Ltd is a well established company of 20 years. We provide domestic central heating and gas services to South, South East London, North Kent and Surrey. Progas can design, install, service and maintain central heating systems, boilers and all Gas appliances. We also carry out Landlords Gas Safety Checks and Buyers Reports to ensure there are no surprises when purchasing a property. Progas hold full Public Liability Insurance for your peace of mind. 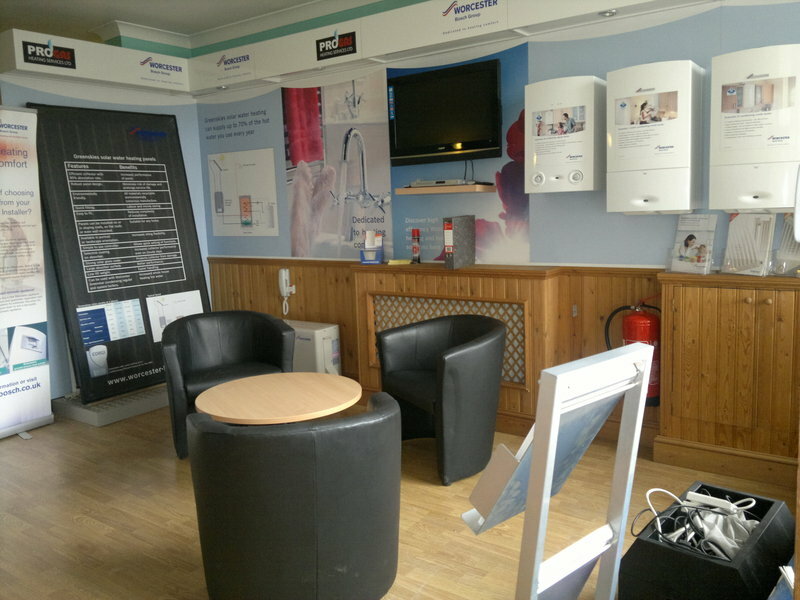 We have showroom facilities where you may view boilers and our range of services. We are a Gas Safe Registered company and Worcester Bosch Accredited/Approved installers. All work is carried out by Engineers trained and employed directly by Progas - we do not sub contract our work out. Another great work from Progas! Progas engineer came back to plug my brand new radiator (they had fitted my whole central heating system last year but I did not have the last radiator yet). It took a couple of hours to extend the pipes, put them through the wall, connect them to the radiator and everything was done to the highest standards. The pipes are completely hidden, flushed with the wall and aligned perfectly with the radiator. Unfortunately the radiator was leaking: it's a very large cast iron radiator that was delivered in 3 parts which my husband and I assembled ourselves. We didn't do a good enough job! The Progas engineer explained that he could take the radiator apart and check everything but that he would have to charge extra. We agreed and he got to work. He protected my newly installed laminate flooring very well and was very considerate of my property (I have had a few tradesmen in my place and I know this is a rare quality!). Kyle (the engineer) fixed the radiator while answering my husband's and my questions about the radiator, the boiler, etc. Today as the last time he came, he was very helpful, polite, respectful, considerate and knowledgeable. He left the place as clean and tidy as he found it and offered to talk me through the holiday feature of my boiler as I had told him we were going on leave. I recommend Progas Heating very much as they have always provided me with great work and great service. They never shy away from helping out and they go over and beyond for their customers. I moved into a new property in August 2018. I researched the market and Progras was the best company I could find that served my local area. The Progras Engineer came and provided a servicing to the boiler for my new property. In October 2018 my radiators were not heating in the upstair bedroom and I had to call a plumber to sort out the issue. He had to uncover the boiler. The amount of dust in the boiler the plumber said no one had done anything to this boiler in years, I took pictures. I contacted Progas next day with the pictures to understand what they had done to my boiler. The Progas director apologies for not cleaning the boiler but said they completed other works which is nonsense given the high level of dust inside the boiler. I told the director I would like to engineer to come back in my presence and perform the service which they refused. As such I paid £90 for someone to come to my home and do nothing! I don't know why Which have these people on their website! Stay away! I can't recommend ProGas highly enough. The boiler engineer who fitted my new combi boiler was professional, considerate, efficient and polite throughout. He worked with care, ensuring there was no mess. A cupboard that needed to be removed for installation was replaced perfectly. All my surfaces were respected and covered throughout the installation. My new boiler is a joy. Professionally fitted without hassle or delay. Progas upgraded our boiler to a combi boiler this year based on recommendations from a friend and , boy , was he right. The work was efficient and quick and no mess was left . The engineers were polite and did all the work agreed to without any quibble. They were extremely competitive in their offer for the work and it was pleasantly suprising that the work surpassed the level expected . They offer a fine service and I would not hesitate to recommend them to other people for gas work in the future. I was extremely satisfied with the work carried out by Progas in April 2018. We arranged a quote and a date for installation soon after. The work comprised of a new boiler and an extra radiator and tidying up pipe work, all of which we are very happy with. The fitters were professional, got on with the job and tidied up afterwards. I have already left some recommendations on the local Crystal Palace Facebook Page due to my confidence in Progas. I found them very professional. Prompt service. Good explanation for how to work the boiler. Did not make much mess. Would recommend to friends etc. Excellent service professional and efficient. I can highly recommend this company, they arrived to fit a replacement boiler exactly as arranged. The fitters were friendly quick and efficient. Progas installed a boiler and were extremely quick, honest and professional. I had quotes from a number of companies for the work and Progas were the most competitive. I can recommend them unreservedly. Excellent job, thank you. An excellent service, prompt in response, efficient, effective and value for money. The engineers were extremely knowledgeable, offered evaluated options and were courteous and considerate. I shall be using them from now on and recommend them unreservedly.